Editor’s note: This is one of a series of pieces on Virginia’s Jun. 12 primary races. WTOP also interviewed all candidates in contested local Congressional races. 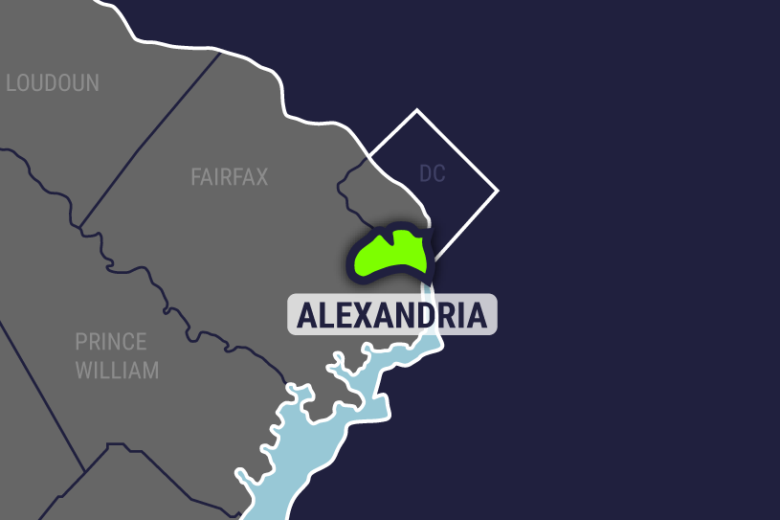 WASHINGTON – Alexandria’s Democratic primary for mayor, the winner of which regularly wins the office in November, features the contrasting styles of Mayor Allison Silberberg and Vice-Mayor Justin Wilson. On the City Council, Alexandria’s mayor leads meetings and plays a role in setting the agenda for the city and representing Alexandria more broadly, but the mayor is not an executive with veto power. Silberberg was elected mayor three years ago after narrowly defeating then-Mayor Bill Euille and former Mayor Kerry Donley in the Democratic primary on a platform that included skepticism of rapid development in the city. “I’m certainly committed to pursuing thoughtful, appropriate development that fits in and is to scale. While we’re a city that is growing, we also want to maintain our quality of life I believe,” Silberberg said in an interview last week. Vice Mayor Justin Wilson, on the other hand, spoke in a separate interview about areas where more development could help the city. “Our economic future and the viability of commerce growth here in Alexandria is a vital issue here in this race,” Wilson said. Alexandria voters who choose to cast ballots in the Democratic primary will also select nominees for the council. Four incumbents and eight other candidates are running for those six seats, which are also at-large. Both candidates talk about the importance of diversifying the economy to reduce reliance on federal spending, but there are differences on other priorities. Silberberg talked about the importance of inclusiveness, continuing work on new schools and park improvements and her environmental goals to keep planting more trees in the city. “These are real changes and will be a benefit to generations to come,” Silberberg said. “We’ve been tackling a number of issues that have been neglected for years and even decades, including protecting our waterways by finally addressing the combined sewer outfall issues after some 20 years,” Silberberg said. That work was mandated by the General Assembly, and will require raising sewage bills. Silberberg would also again attempt to reinstate the city’s open space fund, and to remove limits on an open public comment period at City Council meetings. She lost votes on each of those 6-1 before, and Wilson said it is important to listen to everyone, not just those who show up at council meetings. Wilson wants to focus on challenges of growing school enrollment, early childhood education and infrastructure fixes, among other things. “We’ve deferred infrastructure investment in our community for far too long,” Wilson said. “Overall, we’re not going to be able to thrive as a community unless we figure out a way to grow economically. We just adopted a budget on less than 2 percent revenue growth, that’s not sustainable,” he said. He suggests the city could capitalize on vacant properties to boost affordable housing and small businesses. While both candidates oppose indiscriminate growth in the city, Wilson speaks more positively about development overall. “I think growth for growth’s sake’s not good, but proper smart growth on our transit infrastructure, where we have existing infrastructure, I think that makes sense and that’s worked for us as a community,” Wilson said. “I believe that we should pursue thoughtful, appropriate development that fits in and is to scale. That when we develop in our city, it should fit into what we look like, and that it should certainly be the right type of growth,” Silberberg said. Setting buildings back from the street and ensuring development includes public open space and match the architecture of the neighborhood they are built in are important pieces to her. “I’m totally committed to historic preservation and our historic districts,” she said. Wilson sees development as an opportunity to protect quality of life in the city and improve it. “My focus has been encouraging development in our growth corridors, in our transit corridors where we have existing infrastructure, and making sure that we capture the value from these development projects to invest in community priorities. That means transportation infrastructure, that means affordable housing, that means open space,” he said. “We’re a city of great neighborhoods. That didn’t happen overnight, that didn’t happen by accident. It’s because people worked hard for it, and so I’m fighting for a livable Alexandria to ensure that as we grow and evolve and push forward into the future that we continue to honor our past which is beloved and treasured … and we have to continue to be careful and thoughtful about the way that we grow,” Silberberg said. While Silberberg said she would continue to support transit options, parking is a key issue for her too. “We have to make sure that there’s sufficient parking. Parking is a quality of life issue for a number of our residents, and while we want to reduce single-occupancy cars, we also need to have enough parking, sufficient parking, for residents and for businesses,” she said. Certain business owners and residents have asked her for more parking spaces, she said. “To say that there aren’t cars to park in our city and not have enough parking is just potentially asking for trouble in the future. We already have a number of places in the city…that have a shortage of sufficient parking,” she said. Wilson sees his work to plan for more classrooms across the city as a key difference in the race, with the equivalent of an additional elementary school’s worth of students enrolling each year. He supported a budget last year that included a larger tax increase than initially proposed by city staff meant to help deal with expected needs like schools. “Just putting our head in the sand and ignoring this problem is not going to work, it’s going to get worse,” Wilson said. Silberberg was the only dissenting vote on the city’s $728 million budget last year, after Wilson proposed the total 5.7 percent property tax increase. It passed 6-1. “I did not support my opponent’s historic tax hike,” Silberberg said. Wilson has also pushed for a multi-year budgeting process for the city. “Alexandria’s 15.5 square miles, we cannot build single-use municipal facilities anymore … it’s an anachronism at this point, and so we have to be more innovative about how we deal with out municipal facility needs, and I think we are on a new path to doing that that is particularly exciting,” he said. A task force has recommended the school system and city government work more closely together on buildings and recreational space. Residents and business owners were surprised when the city and Metro revealed this spring that the south entrance of the planned Potomac Yard Metro station had been deleted from construction plans to save money, but both Wilson and Silberberg vow to get that entrance added at some point in the future. “I’m committed to ensuring that we deliver upon the scope of that original project, and we’ll figure out as we move forward and as we bring a contractor on board what the best way to get that done is, but more than anything we just can’t delay it. We’ve got to get Metro built and get it moving,” Wilson said. The station will be on the Blue and Yellow lines between Braddock Road and Reagan National Airport. The city is paying for the project with state and other support, but Metro is awarding the construction contract. “The cost estimates came back higher than what any of us could have expected,” Silberberg said. Last year, the City Council asked city staff and Metro to consider ways to cut costs. The City Council learned in late March that the southern entrance to the station would not be included in initial construction, Silberberg said, and nondisclosure agreements with Metro still limited public discussion at that point. Since projected costs for the project have already increased, it is not clear where funding for a southern entrance that could make the station more useful would come from. As during her single-term on the council before becoming mayor, it is not uncommon to find Silberberg on the losing end of a 6-1 vote. Silberberg said it is standing up for citizens. Wilson said it is a failure to lead. Silberberg says she has been getting things done. She cites as positives her votes for an open space fund, against allowing a building to add additional apartments in the Potomac Yard area, and against a development known as Karig Estates that some environmental groups expressed concerns about but that the City Council found met legal requirements. “I feel very strongly that my vote, though a 6-1 vote, was the correct vote,” Silberberg said. “We do need to grow of course and change, but we need to do so in a way that protects our quality of life,” she said. Asked whether candidates with some significant differences on local issues are really both members of the same party, Wilson laughed.